You might have got this question too. Right? YouTube is one of the most successful things of Google. It is being watched millions of hours every day. But still, it lacks some basic features like playing music in the background, playing video in popup mode and downloading videos…etc. Google has done everything willingly because ads are the main source of income for Google and playing a video in the background doesn’t generate any income. This is by far the best YouTube alternative. It works exactly like YouTube Red. No Advertisements: There are no advertisements in this app. 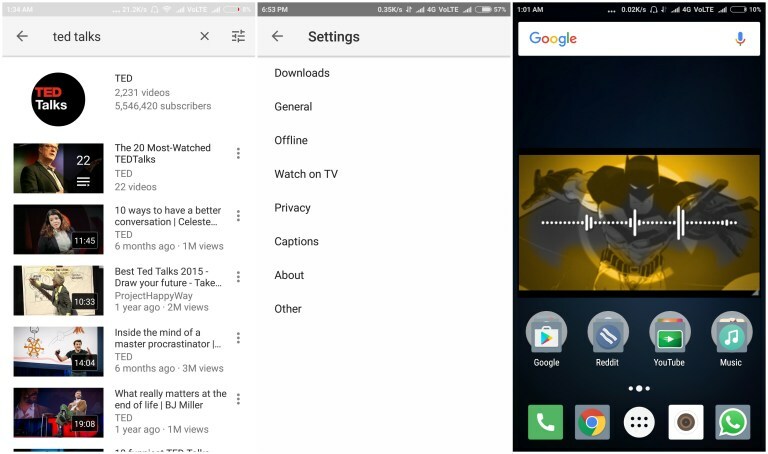 Background play: All other apps struggle during this transition, however, this app has very smooth transitions, no lag, it is almost as fluid as the original YouTube red. For non-rooted devices, two apps must be installed. 1. Modded version of YouTube 2. MicroG for YouTube, which is required for signing in. Download from here. There are different color options available, choose the best one for you. 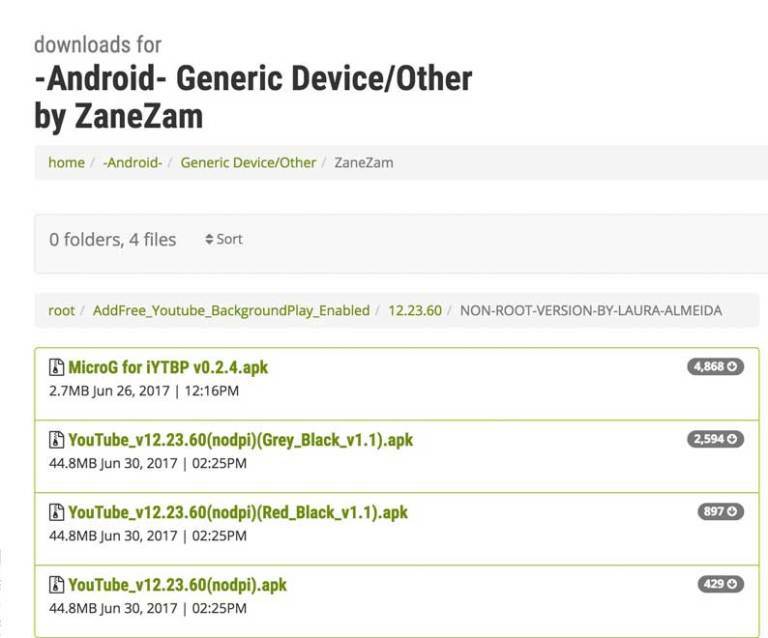 First, install MicroG for YouTube and then YouTube apk. Open the app, now will be able to sign in. Remember to support your favorite YouTubers. NewPipe is one of the best YouTube alternatives. There are many famous YouTube alternatives like OG YouTUbe, GB YouTube but they are not as smooth as and not as accurate as this app is. Playing video in Background: NewPipe lets you play any video in the background. Official YouTube doesn’t support this feature which is quite irritating. There are many other methods to do this trick but not every other work as perfectly and accurately as this one. With just a click, you can play any YouTube video in the background. Playing video in Popup mode: NewPipe lets you play any YouTube video in the Popup mode. This is where NewPipe differs from others. Every other alternative faces issues while playing the video in Popup mode. They lag, stuck, and even stops the app saying “unfortunately stopped”. NewPipe works very smoothly and perfectly while playing video in Popup mode. 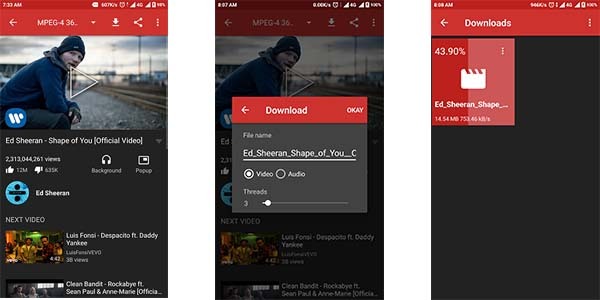 Downloading video: NewPipe can download any YouTube app with just one click. YouTube video will be saved in your Gallery. Never fails to download videos which other apps lack. Video can be downloaded in any of the format available. To cancel (stop) a video playing in the background or playing in popup mode you have to drag the notification tray(bar) and click on the “X” mark. 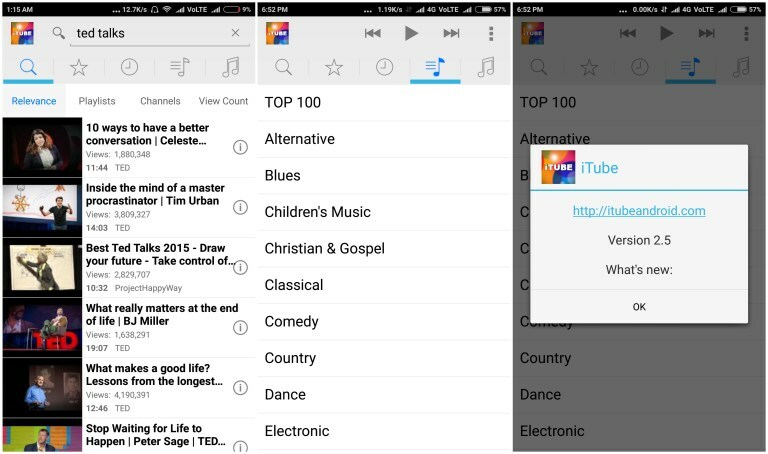 iTube is strictly for music lovers. You can still watch youtube videos but, watching youtube videos in it is not recommended since the interface looks bad and lags. It also loads youtube playlists. It also has an option to load lyrics for the song playing. However, lyrics only load for popular songs. It also has a timer option which is quite handy during nights before sleep. No Youtube ads in this application, however, it comes with in-app-advertisements which sometimes feel irritating. Tubemate is yet another good alternative to the YouTube app. 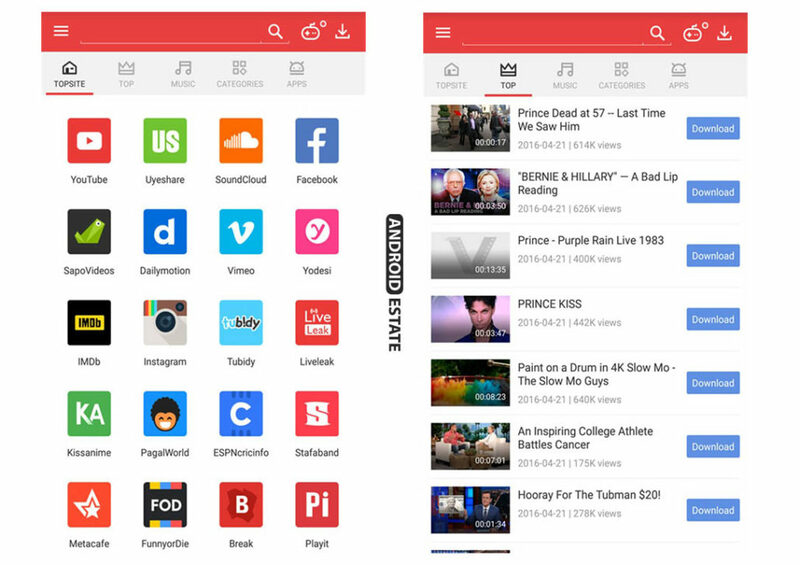 Tubemate is little different from other apps, as it loads the mobile version of YouTube website. The main feature of this app is downloading videos. This app has the best downloading capabilities. You can download a large number of videos without any issues. Download resuming capabilities are pretty good. You can choose to stream the video, and you’ll have a wide range of resolutions available. OG YouTube is a moded version of existing YouTube. 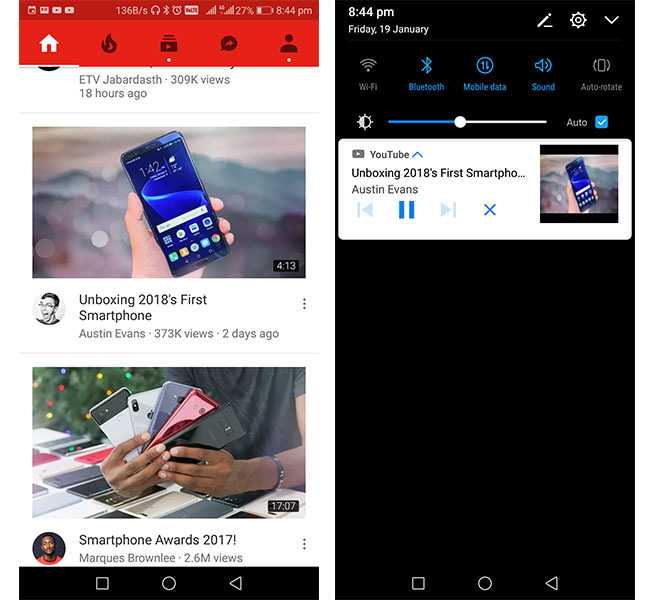 This looks very similar to the YouTube app, but with some tweaks. Popup video: Video will play in a small popup window. You can also stream other websites while watching a video in popup mode. Background play: This feature comes in handy for music lovers. You can play music in the background. 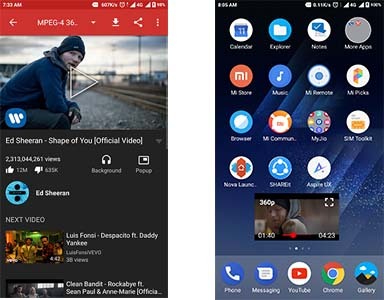 If you are the one who downloads a lot of videos from online video platforms likeYouTube, Facebook, and Instagram then this app is for you. Unlike previous apps, this has a clean and responsive design. It even has a newsfeed of its own featuring the trending videos from popular sites like youtube, Facebook, Dailymotion and a lot more. It has Interruption-free downloading capability. It can download videos from YouTube, Facebook, Instagram, DailyMotion, and many other popular websites. Vidmate is one of the best online video downloaders for android. 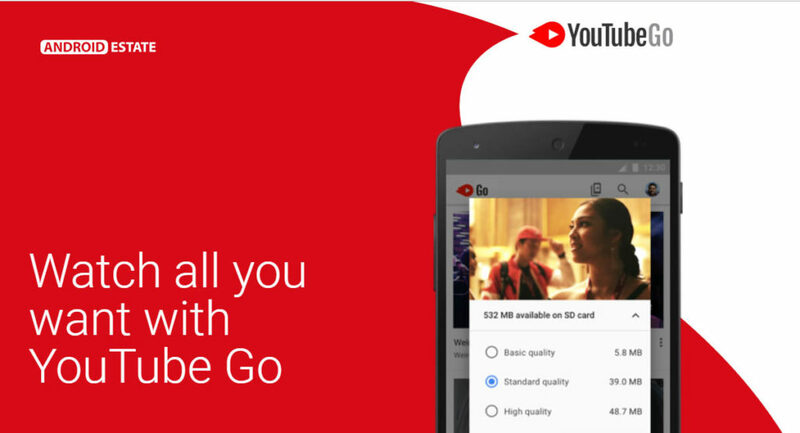 YouTube Go comes extremely handy when you are low on data or have a slow internet connection. It is an official app from YouTube which is aimed at data problems. This app consumes very little data while playing decent quality videos. Unlike every other app in this list, it isn’t any mod or trick, it is a solution for your data problems. 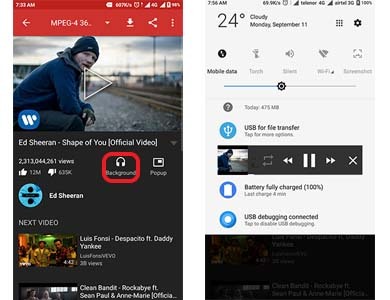 One of the amazing features of this app is that you can offline any YouTube video and share the video with other YouTube Go users instantly. Preview videos first: Get a sneak peek before you choose to watch or download them. Control your data use: Choose how many MBs to use for every video you watch. Download videos: Catch your favorite videos even with slow or no internet connection. Share videos instantly: Send and receive videos in seconds without using data. Find your new favorite: Get recommendations for new music, comedy, fashion videos, and more. Note: Many of these YouTube app alternatives block ads from YouTube, so remember to support your favorite YouTuber via merch or Patreon. Your article is just excellent. I really love your article and thanks for sharing this resources. Hey, I read some your post and I found that really helpful to me thanks for sharing such a wonderful content and I also bookmarked your blog. So, from today I will be your regular reader. And I really appreciate your writing skills and really enjoyed your content keep up the good work and have a good day. I write best apps for youtubers please check this out if you have time. hey, all the alternatives apps for youtubers that you shared in this article are just amazing but according to me iYTBP is best alternative and the best part about this is an ad-free alternative. I really it the most among all.